Are you planning to set up an eCommerce website? 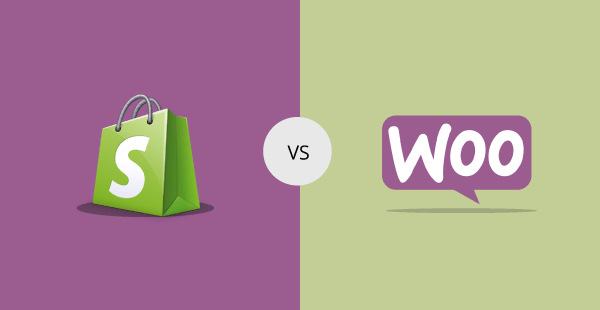 Are you confused of the difference between Shopify and WooCommerce? Each of them is an option for somebody depending on what is needed. Here are the following benefits of the two e-Commerce solutions and choose wisely. The most popular one for WordPress and the premium option is Shopify for starting an online shop. It will cost from $9 to $299 per month, depending on your options. If you will consider all other premium options available online, Shopify is quite affordable for an intermediate business. There are more than 400,000 online shops already use this plugin. Shopify has a free trial for the first two weeks. The second most popular and versatile plugin for WordPress is WooCommerce. If you only want to try for the first time an e-Commerce platform, choose WooCommerce as it is free and easy to set up. It was recently acquired by WordPress and it is officially supported by this CMS. However, WooCommerce does not feature all types of payment by default and cannot deliver invoices. But there are free and premium plugins that can fill in the blanks, all available immediately. It is also easy to set up and integrate into your shop. Obviously, you will need an appropriate domain name for your shop and a good web hosting service, suitable for WordPress websites. Don’t forget to include 3wToday.com on your selection.